Following the service, food and fellowship will be shared in the church hall. 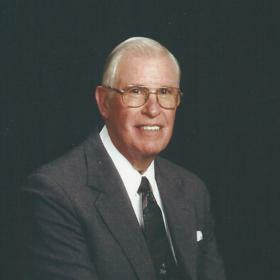 With a life that spanned times of great change in the world around him, Wilbur “Bill” Massey made a significant impact in the lives of many others. He was a longtime resident of the community he loved, and through his work he dedicated countless hours to making the world around him a better place. 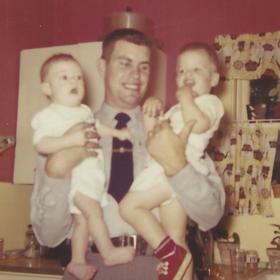 A devoted husband and father, Bill was filled with great joy to become a grandfather and great-grandfather later in life. He was so loving and nurturing, and his selfless compassion for his beloved wife was such an inspiration. Bill will be deeply missed, but he leaves behind a timeless legacy that his loved ones will proudly carry on in his place. In many ways Bill was a typical young boy of his generation. He was raised in Mt. Pleasant, Flint, and Blanchard, and his mother worked as a housekeeper at Sacred Heart Church. For a time, he was raised by his Grandpa and Grandma Edmonds, who were very influential in Bill becoming the man his family knew and loved. One strong memory he had of his youth was of the rocking chair his grandpa made from scratch. During World War II he would sit in the rocking chair, imagine himself a pilot, and become an ace as he shot down hundreds of Jap planes. It has been said that Bill raised a bit of hell, and he was also known to chase women just a bit. He attended local schools where he played basketball and football, and he also ran track. After graduating, Bill attended Michigan State University. 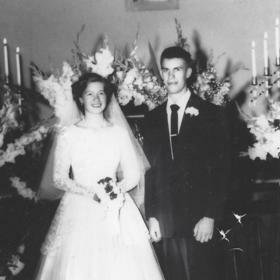 He was baptized on April 1, 1950, and confirmed April 2, 1950, at Grace English Lutheran Church in Flint, Michigan.  From that point forward his life exemplified what it means to live a life of faith. Throughout his life Bill was known for his strong work ethic. He joined the ranks of the Michigan State Police in the spring of 1957, and for 25 years he served the people of Michigan with distinction before retiring at the age of 46 with the rank of Detective/Lieutenant in the Fire Marshall Division. During his career Bill served at posts in Reed City, Battle Creek, Pontiac, Northville, and Lansing. He loved being a trooper and would rather have given a warning than a ticket. Upon his retirement, he worked another 15 years for INS Investigations. Beginning in 2003, Bill worked at the Betzler Life Story Funeral Home in Kalamazoo and Paw Paw part-time. He was always smiling and was willing to do anything to help. Bill only retired so he could focus more fully on caring for Mary as her dementia became increasingly worse. However, she was able to remain in her home because of the care Bill tenderly gave. There was no greater joy in Bill’s life than his family. 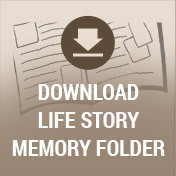 He and Mary went to great lengths to be there to witness the performances and accomplishments of their five children, eight grandchildren, and four great-grandchildren. Tirelessly, they traveled to countless sporting events, recitals, choir concerts, band and orchestra concerts, football marching band shows, theater productions, and other school activities. Not only did they love being there to support their children and grandchildren, but their children and grandchildren also took great pride in doing their very best since Bill and Mary were there. A man of many interests, Bill was one to keep busy. In the mid-70’s, while still working full-time, he opened up a soft serve ice cream shop in St. Johns. When his wife forbid him to name the store “Mary’s Utter Udder”, he settled on naming it “Will’s Dairy Delight”. Bill managed to keep the city of St. Johns well supplied in ice cream for several years. Will’s Dairy Delight also helped fund the college education of his sons Brad and Steve. He was a member of the Lutheran Church Missouri Synod his entire adult life, and he had a deep and passionate faith that allowed him to look forward to his final days, confident he would be called to share eternal life with his Lord and with all fellow believers. Bill was very handy and enjoyed tinkering, and he also liked woodworking. On one trip to visit his hometown of Cheboygan, he found a rusty hulk of a 1934 Model A in a forgotten corner of a garage. He instantly knew he had to bring the car back into pristine condition. When his daughter-in-law Nita saw it for the first time, her only comment was “You paid how much for that thing? ?” After many hours of work, he indeed restored the car and was constantly driving it in parades, car shows and around the streets of St. Johns. He was known as a great storyteller who often had an off color story to get people laughing, Bill enjoyed a cold beer and he also liked his coffee. It has also been said that he rarely found a food he didn’t like, but he did maintain an active lifestyle and remained fit. Around home, Bill enjoyed working in his yard. 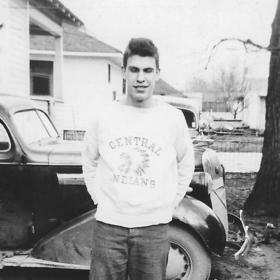 All who knew Wilbur Massey would agree that he was the heartbeat of wherever he went. His selfless compassion was such a gift, and his upbeat and fun-loving personality made him so much fun to be around. His family was his greatest joy, and there was nothing he loved more than being surrounded by their love. He had a quick sense of humor and loved sharing his laughter with others, too. Deeply loved, Bill will be forever missed. It is with sorrow but also great celebration that the family of Wilbur Merton Massey (Pops) announce that he received the Crown of Glory on Friday, October 12 2018 at the age of 83 after a brief illness. He was carried gently from his earthly life to the loving embrace of Jesus under the tender care of Mother Teresa House in Lansing, Michigan. Bill was preceded in death by his parents: Raymond and Margaret Becker; sisters, Gladys, Shirley, and Bonnie; brothers, Royal and Raymond Jr.; and daughter-in-law, Jill. 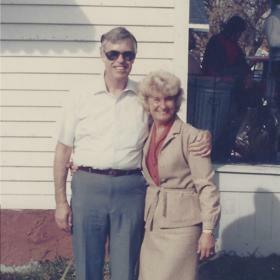 Bill’s family includes his wife, Mary Ellen Massey; sister, Dorothy (Bob) Gerholz; sister-in-law, Marie Massey; and children: William (Gail), Jeff (Nita), Diane (Robert) Hunt, Steven, and Brad (Alaine); 8 grandchildren; 4 great-grandchildren; and numerous nieces and nephews. The family will receive friends for visitation on Wednesday October 17 from 2-4 and 6-8 p.m. at St. Johns Lutheran Church in St. Johns Michigan. A Christian funeral service will be held at the church on Thursday, October 18 at 11:00 a.m. There will be a private internment service for family at a later date. In lieu of flowers, donations may be made to either the St. Johns Lutheran Enrichment Fund or to Mother Teresa House in Bill’s name.